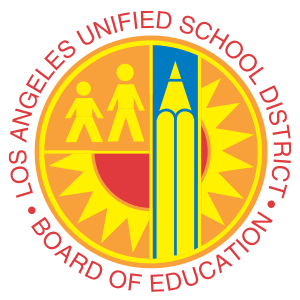 John Deasy’s recent resignation as the superintendent of the Los Angeles Unified School District ends three years of controversy. But a cloud of chalk dust remains over the mammoth district’s future. The LAUSD Board of Education tapped his predecessor, Ramon Cortines, 82, as an interim replacement, giving it time to find a longer-term leader who could take the troubled LAUSD in a new direction. Deasy’s rocky tenure culminated in dual controversies — his emphasis on quantifying education improvement through testing and his strong personal push to increase the use of technology in the classroom. In the first case, critics said, Deasy contributed to a climate of stress and inadequacy for teachers unprepared to meet higher testing goals. In the second, critics blasted Deasy for overreaching with a rushed and ineffective $1.3 billion program to give iPads to all the district’s 650,000 students. Deasy’s reforms upset the L.A. status quo on a number of levels. As the Los Angeles Times observed, Deasy made waves with “a teacher evaluation system, stricter bars for gaining tenure, a classroom breakfast program and a stronger embrace of alternatives to turn around struggling schools — including charter schools and the complete replacement of staff.” Though most of these measures threatened to take control away from teachers unions, Deasy’s desire to hold teachers accountable through student testing drew the most ire. Among administrators, Deasy wasn’t alone in taking that approach. Its prominence in the Common Core system, which is being implemented in California and many other states, led a growing number of unionized teachers to speak out in opposition. Previous to his work with the Los Angeles schools, Deasy served as deputy director of education at the Bill and Melinda Gates Foundation. Common Core has been closely associated with Bill Gates, who almost single-handedly fueled the initiative with millions in funding and closed-door lobbying. With that background, few were surprised when the testing reforms Deasy advanced were “fought by teacher unions and some community activists,” who opposed “so-called corporate reform because it often involves data-driven performance reviews that can affect high-stakes personnel decisions,” according to the Times. In the worst ordeal of his time as superintendent, Deasy tried to swiftly implement a plan that would make iPads a classroom standard. Although a LAUSD investigation concluded Deasy did not act unethically, his effort became an albatross amid technological failures, vendor problems and student hooliganism. On the positive side, the hacking crisis did show LAUSD kids were more adept in the growing high-tech economy than district officials suspected. Deasy’s departure summed up a broader trend in education reform battles playing out nationwide. It pitted traditional allies against one another, including Democrats and their teachers union backers. Democrats’ flagging credibility on education has been exacerbated this year by election-year politics and the Vergara ruling, which held California teachers union tenure protections unconstitutionally infringe on students’ rights. But Democrats — like many pro-corporate Republicans — turned to a small network of wealthy, successful elites to respond to the nation’s systemic education problems. GOP heavyweights like former Florida Gov. Jeb Bush and former U.S. Secretary of Education Bill Bennett lent their support to Common Core in an effort to broaden Republicans’ appeal — despite the opposition of many of their conservative allies. And Democrats embraced the Gates and Deasy approach as a way of taking the focus off of teachers unions. Gates, the world’s richest man, is a Democrat. Those reformers discovered, however, that the public education system could not be transformed effectively through testing or technology. Deasy’s exit again puts LAUSD policy up for grabs, with potential reforms including the perennial proposal to break up the nation’s second most populous school district to make it more responsive to voters, parents and students.